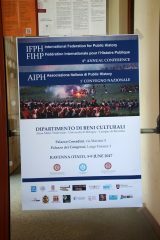 Between June 4-9, the International Federation for Public History (IFPH) held its 4th Annual Conference at the University of Bologna’s campus in Ravenna, Italy. 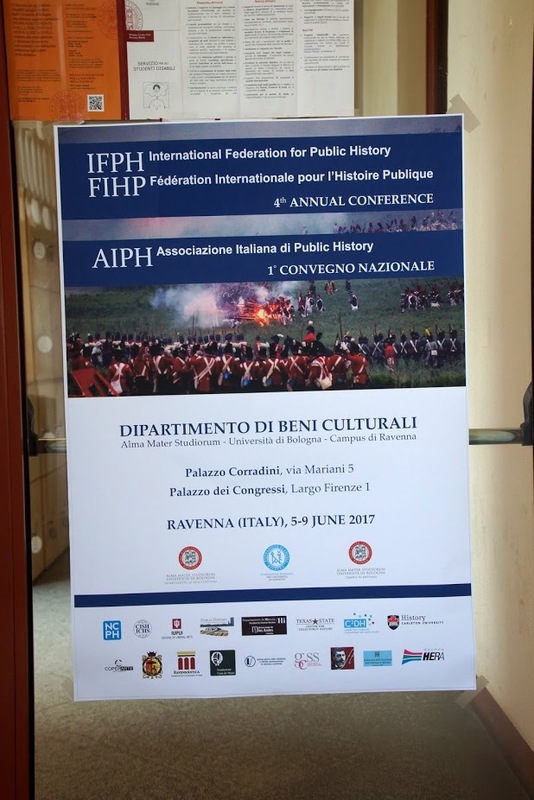 The History Department was one of the official sponsors of the conference, which was held alongside the 1st national meeting of the newly founded Associazione Italiana di Public History. Among the more than 400 participants were former Carleton public history MA students Arpita Bajpeyi, Sinead Cox, and Marie-Anne Gagnon who gave a wonderfully scripted three-person presentation “Two Years of History Off the Page: Performances of the Past in Conversation” drawing on their experiences as co-directors of Staging our Histories. Prof. David Dean, who was elected to the steering committee of IFPH late last year, delivered a paper, “Historical Memory and Commemoration in Canada”, which focused on the “Mother Canada” and Victims to Communism monuments. He was also part of a roundtable focusing on international public history textbooks, handbooks, and book series. Carleton will also be an official sponsor of the 5th IFPH conference to be held in Sao Paolo, Brazil in August 2018.